On 17 August 1988 the VVIP flight, Pak One, took off from Bahawalpur airport with 31 people on board including the US Ambassador, the chief of the US military mission in Pakistan, and a group of senior officers from Pakistan army. For 2 minutes and 30 seconds the plane rose into a clear sky. Takeoff was smooth and without problems. Suddenly the Bahawalpur control tower lost contact, and the plane plunged from the sky and hit the ground with such force that it was blown to pieces and wreckage scattered over a wide area. Marine insurance is all about providing insurance coverage for ‘goods in transit’ …. While cargo – Marine Insurance, offers so much of variety and interest … more interesting is the coverage of ‘fruits’ in transit…. These are primarily goods perishable in nature – that may be spoilt when not handled properly. Harvesting at the correct time is essential to the production of quality fruits – be it apples, oranges, bananas, mangoes ……………. 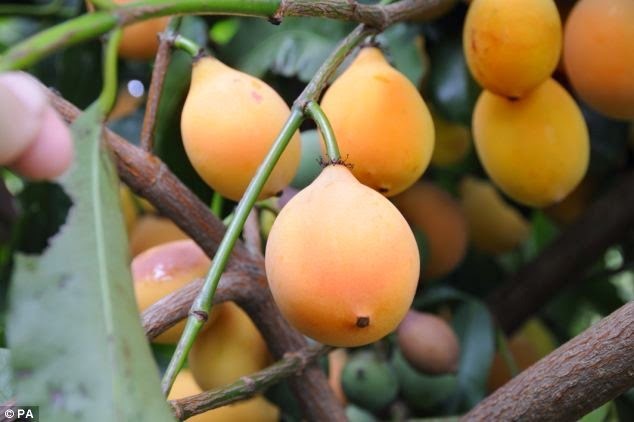 To ensure maximum storage life, they should be harvested when mature but not yet fully ripe or overripe. If harvested before they have matured, the fruits will not taste good and can be susceptible to storage disorders. Ripe fruit should be avoided because it will continue to ripen in storage, rapidly becoming too soft and mealy for sale. Firmness and the level of soluble solids are good indicators of maturity to use in determining picking time. Quality consists of a combination of visual appearance, texture and flavour. People buy fruits by their appearance too and hence one should avoid bruising and other external damages to the cargo. Damage from rough handling will accelerate deterioration, reducing the value of the product. Many a times, fruit sellers adopt many processes including : post-ripening of green or unsatisfactorily colored fruits; removal of dirt, sooty mold, spraying residues and scale insects in washers; coating them with a layer of wax and treatment with preservatives ~ and then grade them according to colour, texture, size, class, variety and more…. offering insurance coverage for such products can be quite enthralling and challenging when it comes to providing appropriate insuring terms and conditions. In the sweltering summer, the very thought of Courtallam would make one feel pleasant. The place dedicated Lord Thirukutralanathar has great waterfalls with every season attracting thousands of people, bathing and enjoying themselves to good health in the herbal waters. The mountain abounds with forests of precious trees like teak and exotic fruit plants like Mangustan which are not only sweet but also of great medicinal value. Till a few decades ago, some of the fruits were available only there … gone are those days – now you get everything in your local markets – thanks to the developed marketing, transportation and more … not so, when it comes to insurance……. One such local flavour is ‘mangusthan’ ….. The purple mangosteen (Garcinia mangostana), colloquially known simply as mangosteen, is a tropical evergreen tree believed to have originated in the Sunda Islands and the Moluccas of Indonesia. It grows mainly in Southeast Asia, and also in tropical South American countries such as Colombia, in the state of Kerala in India and in Puerto Rico,where the tree has been introduced. The tree grows from 6 to 25 m (19.7 to 82.0 ft) tall. The fruit of the mangosteen is sweet and tangy, juicy, and somewhat fibrous, with an inedible, deep reddish-purple colored rind (exocarp) when ripe. Now read this report in Daily Mail….. Malaysia’s police chief confirmed that detectives probing the disappearance of flight MH370 have been to a farm to interview everyone who handled a cargo of mangosteens, an exotic fruit. 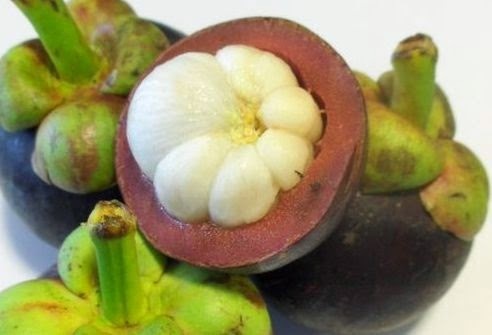 Supporting an exclusive report in the Daily Mail last month which raised the question of whether an explosive device could have been planted in the cargo of four tons of mangosteens, Inspector-General Tan Sir Khalid Abu Bakar said the cargo was under investigation. Revealing that police ‘have clues’ to the disappearance of the aircraft - without saying what they were - he did reveal that one aspect of the widespread investigation involved the purple-coloured fruit, about the size of a tangerine. It is reported that Investigators are looking into who ordered them, paid for them and plucked and packed them from an orchard in Muar (a town 93 miles south east of Kuala Lumpur). Inspector-General Bakar said that he did not discount the possibility that the cause of the aircraft’s disappearance might never be known. Speaking at a police college in Kuala Lumpur Inspector-General Bakar said the Chief Pilot’s flight simulator had not been ‘cleared’, despite official comments last week stating that it had been, reported the Sun Daily of Malaysia ~ and despite other claims that all passengers and crew had been cleared of suspicion, Inspector-General Bakar said that while the 227 passengers had been vindicated, the jet’s crew members were still under investigation. On the list of investigations involving police, he confirmed, four possibilities remained - hijacking, sabotage, the psychological state of all crew members and their personal issues. His comments and the continuing four areas of investigation suggested that the police were still considering a human element in the fate of the Boeing 777, which was carrying 239 passengers and crew on a flight from Kuala Lumpur to Beijing when it vanished on March 8. In a shock comment, he denied that pilot Zaharie Ahmad Shah’s home-based flight simulator, which his own Minister of Defence, Hishimmuddin Hussein, had declared to be free of suspicion, had in fact been cleared. The simulator, which had been removed from Zaharie’s home by police, following which the hard drive had been sent to FBI technical experts, had come under suspicion because all data before early February had been wiped from it by the Captain. The VVIP on board in that ill-fated plane mentioned in first para was - Muhammad Zia-ul-Haq, the sixth President of Pakistan from 1978 until his death in 1988. There have been reports (though not authentic, especially within Pak) that the crash was a political assassination carried out by some foreign agencies. One theory had it that the Intelligence of a top Nation had spiked mangos with VX gas to eliminate Zia because of his unreliable commitment to a more democratic government and his loyalty to Afghan mujahideen. A Case of Exploding Mangoes (2008) is a comic novel by the Pakistani writer Mohammed Hanif based on the plane crash that killed General Muhammad Zia ul-Haq, former president of Pakistan. The book has a dark satirical style.